The honor of Elon Distinguished University Professor is conferred occasionally by the Board of Trustees on senior faculty at the full professor rank whose career achievements inspire the University community by their excellence. Criteria for the award are intentionally broad: excellence in teaching, scholarship, service and leadership. A faculty committee, with members from all ranks, is appointed by the president. The committee, after soliciting nominations from all full-time teaching faculty, forwards a written nomination, with supporting materials, to the president for his review. With the president's approval, the nomination is forwarded for final consideration to the Board of Trustees. 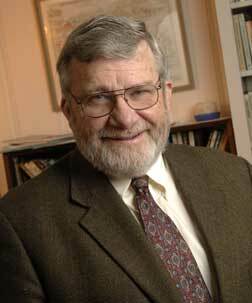 Dr. John Sullivan was named Elon's first Distinguished University Professor in 2002.